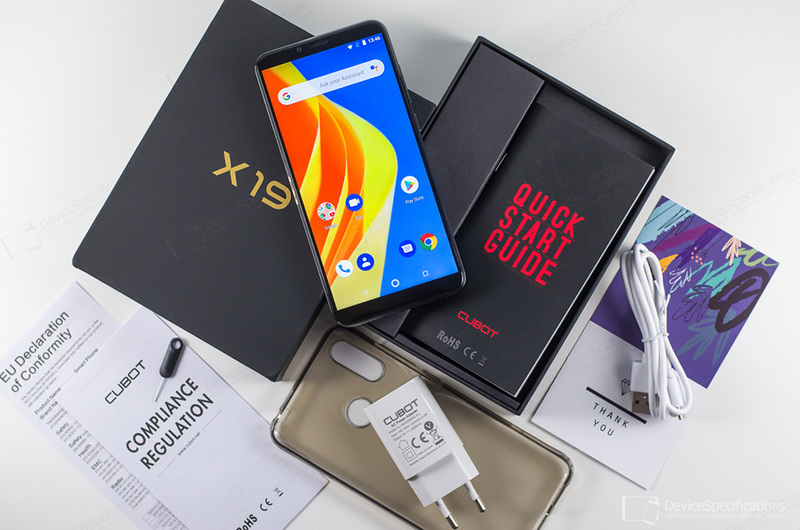 Cubot X19 is the latest offering from the Chinese brand Cubot which has already created a name for itself of offering affordable smartphones that follow some of the latest trends in design. This handset, in particular, sports a large FHD+ display, a glossy four-side curved back, dual-rear cameras, a reasonably sized battery and a power-efficient chipset. All this is packed in a very compact body and the total package costs around $160. It all sounds quite compelling for everyone who wants to enjoy stock Android 8.1 Oreo experience on a good-looking smartphone that won't break the bank. 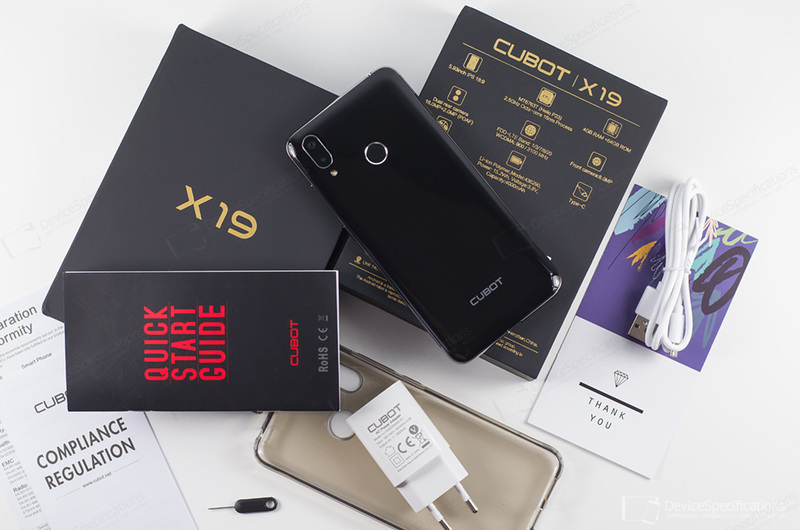 Following is our in-depth Cubot X19 review which discusses in detail every main aspect of the smartphone. Cubot X19 is adorned with a 5.93-inch FHD+ display with GFF full lamination. The manufacturer specifies a 1300:1 contrast ratio, 450 nits typical brightness and 90% of the NTSC colour space coverage. Under the plastic hood, a MediaTek Helio P23 (MT6763T) chipset ticks. It features an octa-core Cortex-A53 CPU with four 2.3GHz and four 1.65GHz cores. A dual-core 770MHz Mali-G71 GPU is responsible for the graphics. There are 4GB of double-channel LPDDR4X RAM on board, clocked at 1600MHz and 64GB of eMMC 5.1 internal memory, expandable with up to 128GB. The camera department features a 16MP OmniVision OV16880 primary shooter with a 5-element lens, an f/2.0 aperture, PDAF and 1A LED flash. There's a 2MP auxiliary rear camera. An 8MP Sony IMX219 sensor power the front camera and is paired with a 4-element lens with an f/2.2 aperture. The device supports 2G GSM (850, 900, 1800, 1900 MHz), 3G W-CDMA (900 MHz, 2100 MHz), and 4G FDD-LTE (800, 850, 1800, 2100, 2600) networks. LTE speeds are Cat. 6 ones and simultaneous 4G on both SIM cards is supported. The wireless connectivity options of the Cubot X19 include Bluetooth 4.2, dual-band Wi-Fi 802.11 a/b/g/n, Wi-Fi Direct, Wi-Fi Hotspot, Wi-Fi Display. The smartphone works with GPS and GLONASS and is equipped with a USB Type-C 2.0 port and a rear-mounted fingerprint sensor. The model runs on stock Android 8.1 Oreo.